Landfills have not been allowed to bury grass, leaves, and brush (collectively known as yard waste) since 1991. The landfill has a drop-off location for these items and charges a reduced fee. 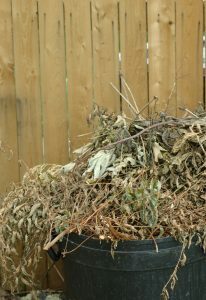 Once a year, a contractor comes in to grind the yard waste and haul the materials out to a composting facility. SCISWA also owns a wood chipper that it makes available for municipalities. Read more about the Wood Chipper Rental Program.